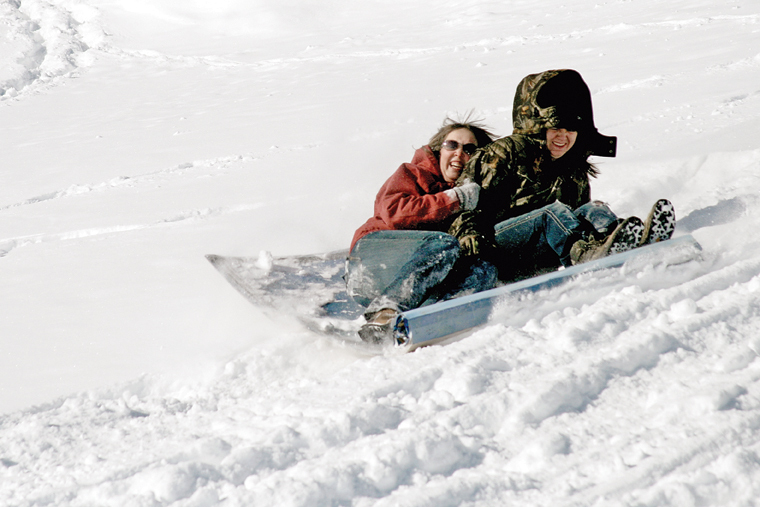 MCHS seniors Austin Lee, left, and Amanda Brewer pick up speed Wednesday during the 2011 Science Olympics Cardboard Sled Races. 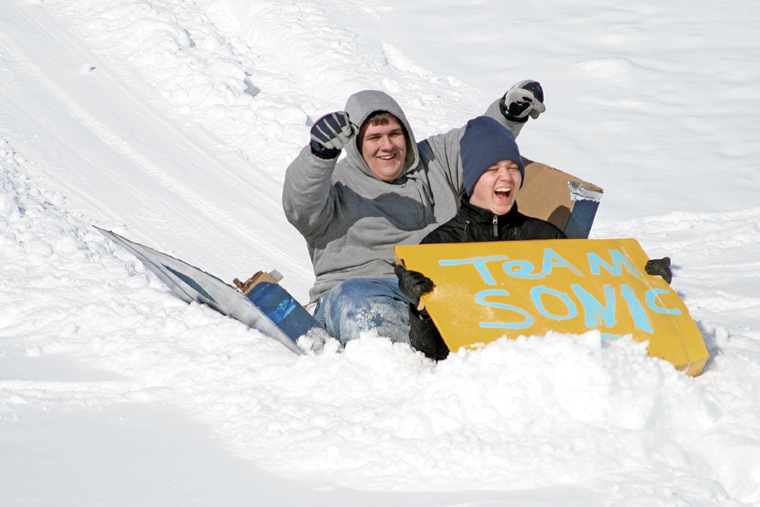 The sled of Team Sonic breaks apart midway through the 2011 Science Olympics Cardboard Sled Races. 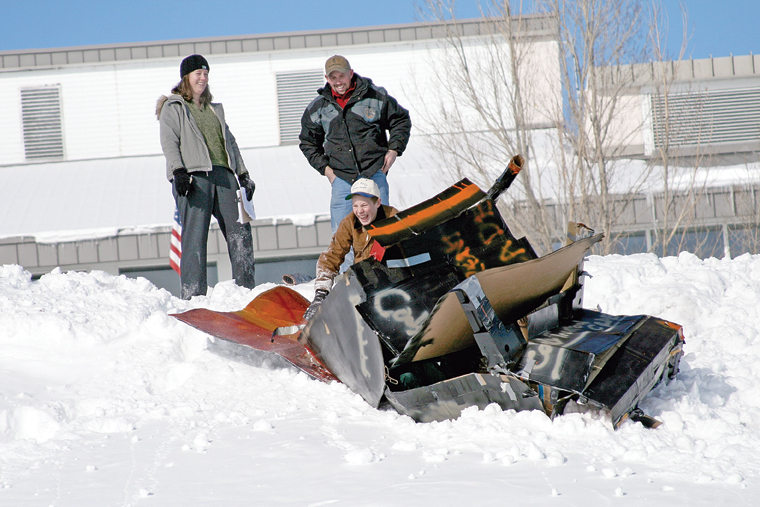 MCHS freshman Cody McDermott is shown near his wrecked sled during a tough start at the 2011 Science Olympics Cardboard Sled Races. 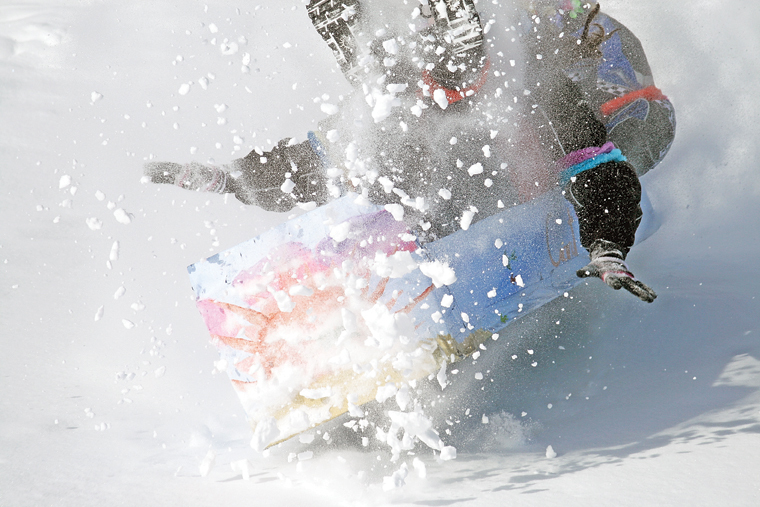 The sled broke apart shortly after crossing the starting line, and garnered the three-man team an award for best crash. 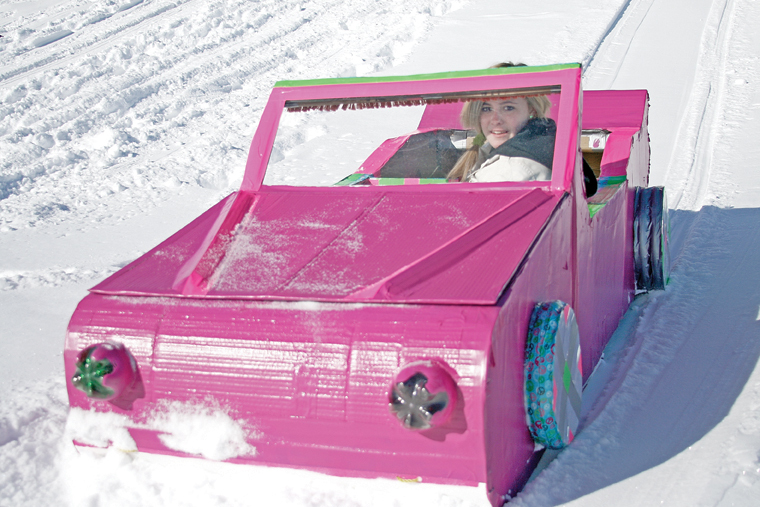 MCHS freshman Alanna Walters comes to a rest in her award-winning sled Wednesday during the 2011 Science Olympics Cardboard Sled Races. 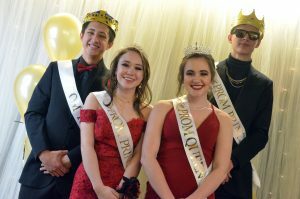 Walters won for best design. 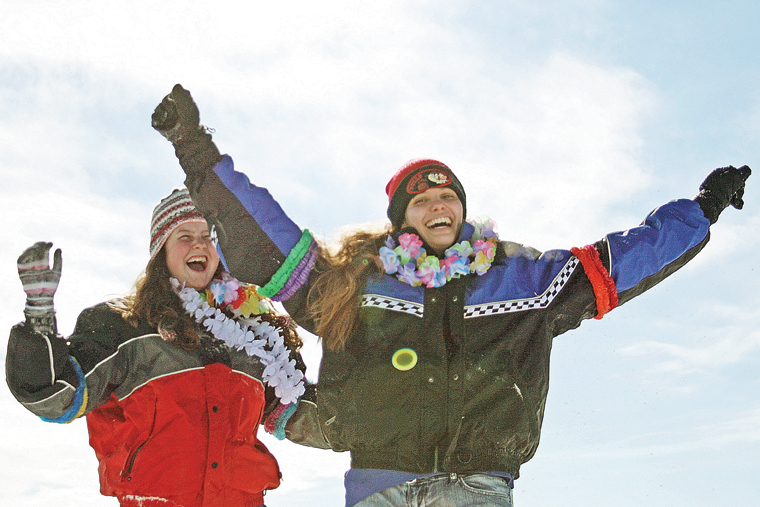 MCHS students Velvet Warne, left, and Aime Chadwick celebrate after their winning run at the 2011 Science Olympics Cardboard Sled Races. 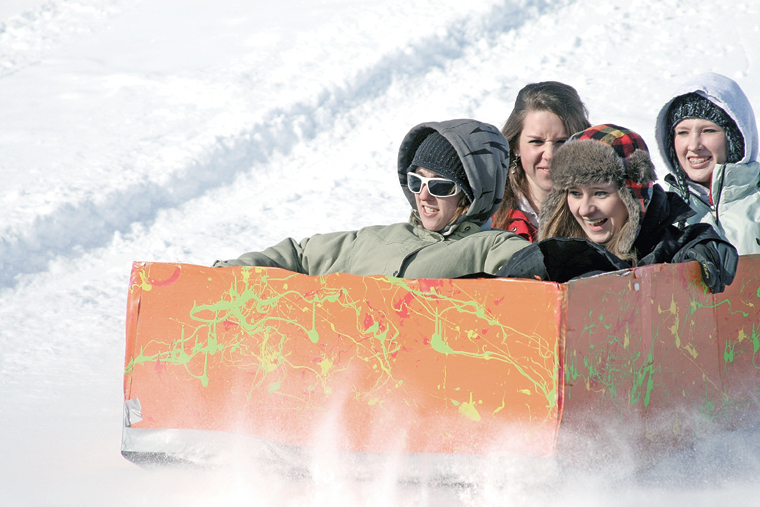 MCHS students Velvet Warne, front, and Amie Chadwick compete during the 2011 Science Olympics Cardboard Sled Races. The pair won top honors for traveling the greatest distance in their sled, which they named Coconut. 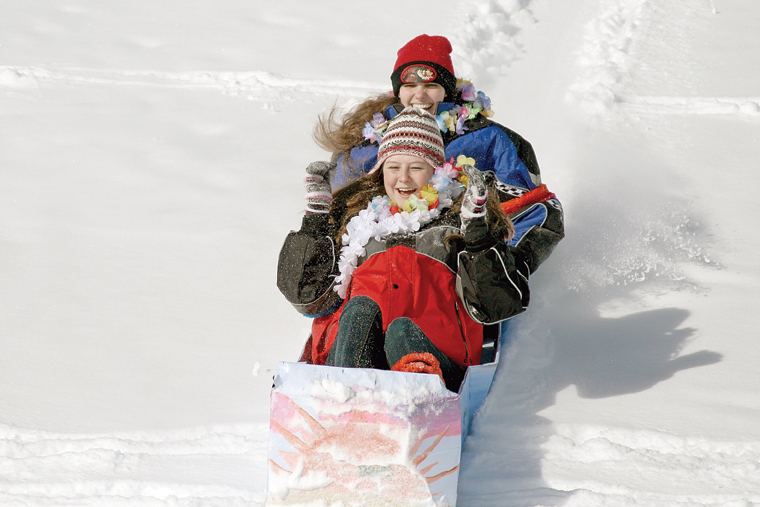 MCHS students Velvet Warne and Aime Chadwick catch air during their winning run at the 2011 Science Olympics Cardboard Sled Races. 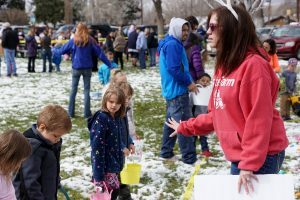 April Rogers, a Moffat County High School junior, celebrates after finishing the 2011 Science Olympics Cardboard Sled Races. Forty-six students, making up 16 teams, competed Wednesday afternoon below the MCHS parking lot. 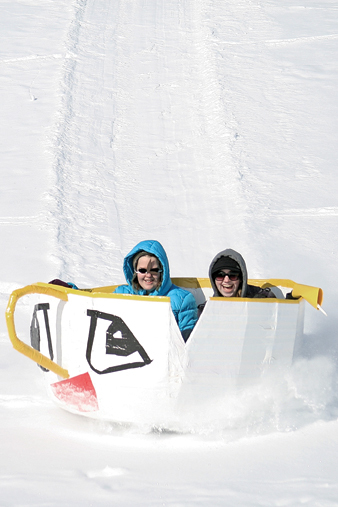 MCHS students Kirstie McPherson, left, and Mary Penner participate in the 2011 Science Olympics Cardboard Sled Races. 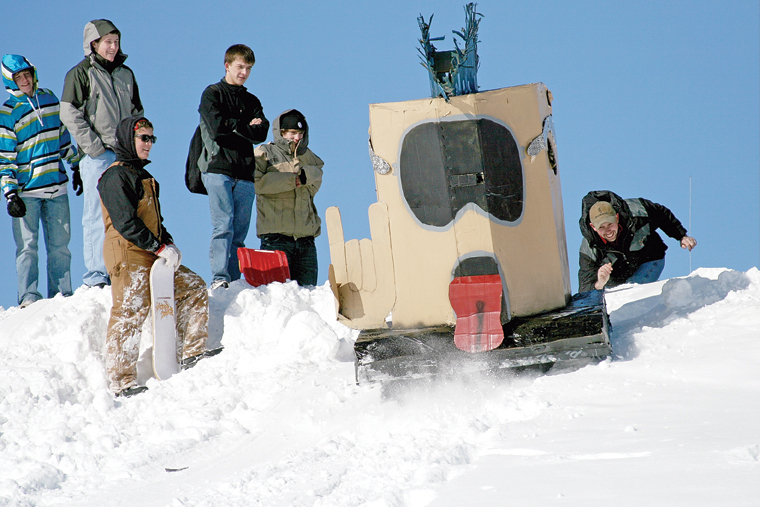 MCHS students watch as a student-made cardboard sled departs the starting line during the 2011 Science Olympics Cardboard Sled Races. 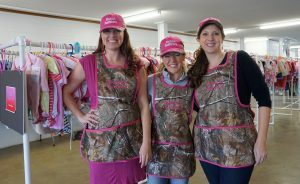 Clockwise from left, MCHS students Jessica Wiseman, Miranda Blomquist, Brittany Ivers and Michelle Stoffle compete in the 2011 Science Olympics Cardboard Sled Races. 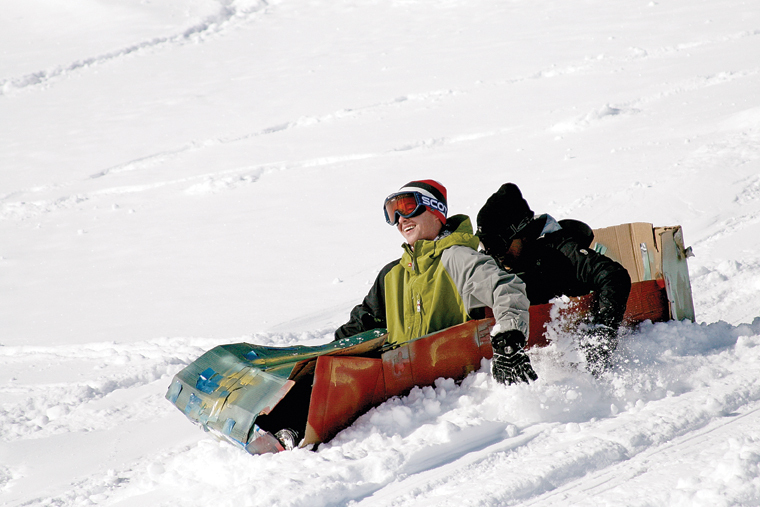 MCHS students participate in the 2011 Science Olympics Cardboard Sled Races. 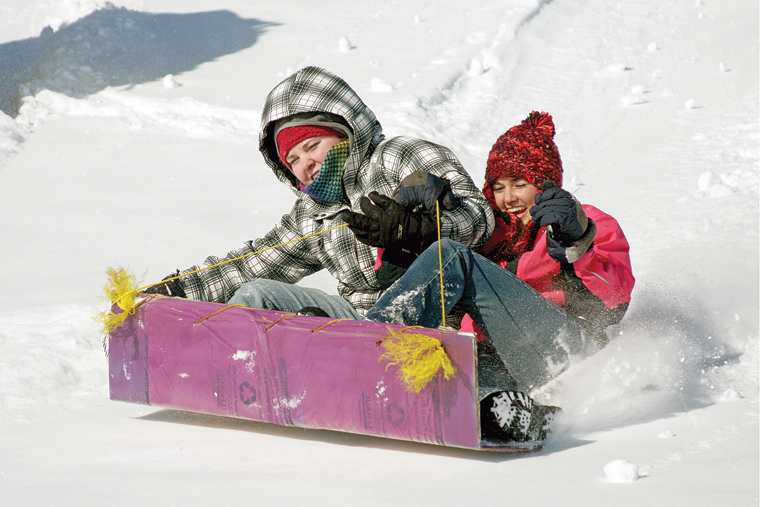 MCHS students April Rogers, front, and Tasha Burke blast through powder during the 2011 Science Olympics Cardboard Sled Races. 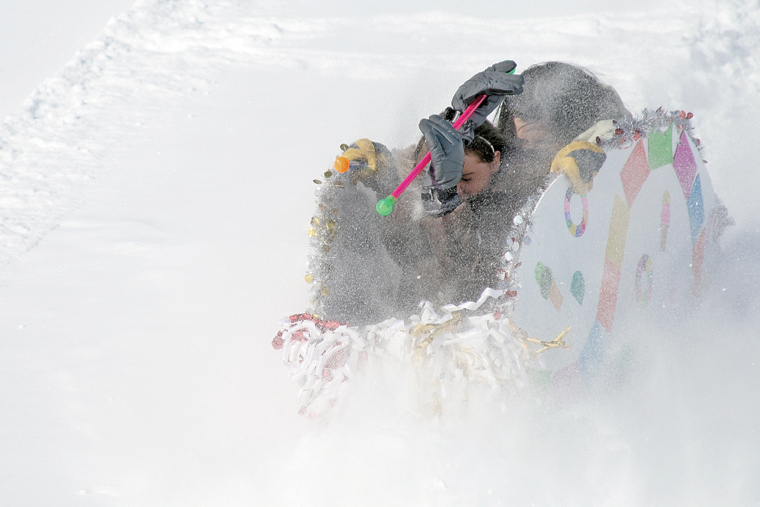 Their sled, Candyland, took its inspiration from the children’s board game.